Duo eyebrow pencil & powder for accentuated eyebrows with a natural finish. Stressed eyebrows have conquered the catwalks of the world in recent years and thus in the make-up bag of every eyebrow pencil is indispensable. Full and natural brows are simply part of a perfectly made-up face. They give the ideal frame and immediately provide for a more intense facial expression. MAYBELLINE NEW YORK A highlight in the eyebrow segment in 2015: the BROW SATIN, a duo of pencil and powder, the perfect combination to accentuate and discreetly highlight eyebrows. The BROW SATIN features two-sided applicators of a fine wax on one side and a delicate powder texture on the other side for easy and precise application. First, the contour of the eyebrows is retracted with the help of the wax pencil, for an optimal shape of the eyebrows. Then, with the help of the matting powder, unsightly gaps can be concealed. Thanks to the practical brush – Applicators are thus even the tiniest flaw and eyebrows are no longer a dream. The result: full, full eyebrows with a natural finish. The BROW SATIN is already available in the three nuances DARK BLONDE, MEDIUM BROWN and DARK BROWN. 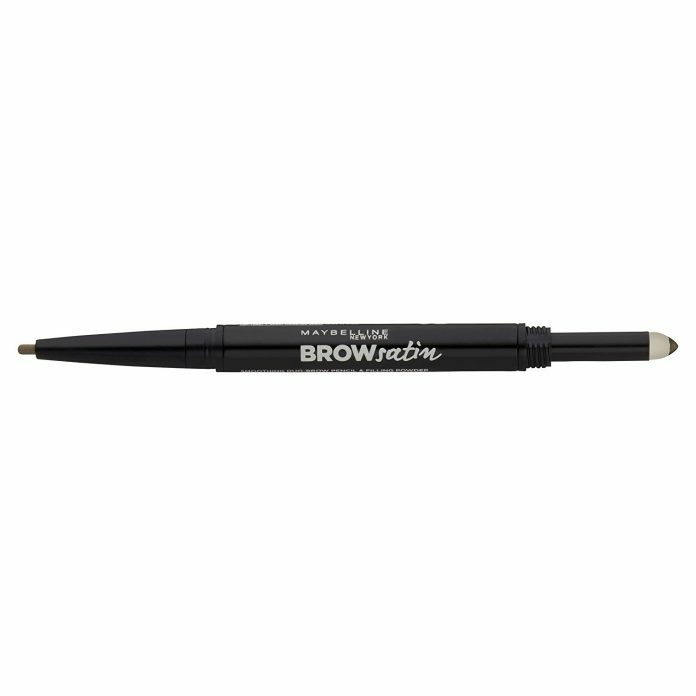 In May 2018, MAYBELLINE NEW YORK launches another nuance for even more noticeable and darker eyebrows: BLACK BROWN.